This beautiful emerald green bug is only 1/2 " long but is a terrible predator lying in wait for its prey. The sun was setting and the strong mandibles are shown in shadow to the left of the head and under the left front leg. 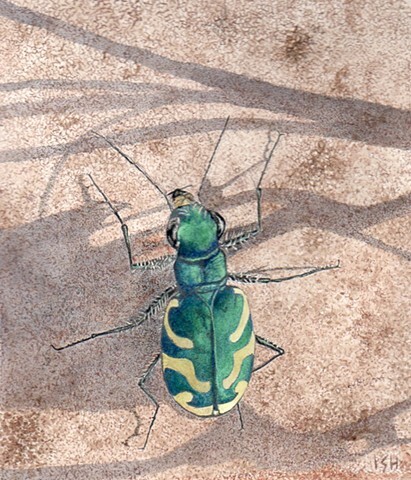 I used a metallic green watercolor in order to reflect the shimmer of the exoskeleton.